Turn the tables: the counterattack strategy – Moving first – initiating the attack – will often put you at a disadvantage: you are exposing your strategy and limiting your options. Instead, discover the power of holding back and letting the other side move first, giving you the flexibility to counterattack from any angle. If your opponents are aggressive, bait them into a rash attack that will leave them in a weak position. Trade space for time: the nonengagement strategy – retreat in the face of a strong enemy is not a sign of weakness but of strength. By resisting the temptation to respond to an aggressor, you buy yourself valuable time – time to recover, to think, to gain perspective. Sometimes you can accomplish most by doing nothing. Control the dynamic: forcing strategies – People are constantly struggling to control you. The only way to get the upper hand is to make your play for control more intelligent and insidious. Instead of trying to dominate the other side’s move, work to define the nature of the relationship itself. Maneuver to control your opponent’s minds, pushing their emotional buttons and compelling them to make mistakes. Defeat them in detail: the divide and conquer strategy – never be intimidated by your enemy’s appearance. Instead, look at the parts that make up the whole. By separating the parts, sowing division, you can bring down even the most formidable fore. When you are facing troubles or enemies, turn a large problem into small, eminently defeatable parts. Seem to work for the interests of others while furthering your own: the alliance strategy – The best way to advance your cause with the minimum of effort and bloodshed is to create a constantly shifting network of alliances, getting others to compensate for your deficiencies, do your dirty work, fight your wars. At the same time, you must work to sow dissension in the alliances of others, weakening your enemies by isolating them. Penetrate their minds: communication strategies – communication is a kind of war, its field of battle the resistant and defensive minds of the people you want to influence. The goal is to penetrate their defenses and occupy their minds. Learn to infiltrate your ideas behind enemy lines, sending messages through little details, luring people into coming to the conclusions you desire and into thinking they’ve gotten there by themselves. Dominate while seeming to submit: the passive-aggression strategy – In a world where political considerations are paramount, the most effective form of aggression is the best hidden one: aggression behind a compliant, even loving exterior. To follow the passive-aggression strategy you must seem to go along with people, offering no resistance. But actually you dominate the situation. Just make sure you have disguised your aggression enough that you can deny it exists. Sow uncertainty and panic through acts of terror: the chain reaction strategy – Terror is the ultimate way to paralyze a people’s will to resist and destroy their ability to plan a strategic response. The goal in a terror campaign is not battlefield victory but causing maximum chaos and provoking the other side into desperate overreaction. To plot the most effective counter-strategy, victims of terror must stay balanced. One’s rationality is the last line of defense. Very interesting and compelling read on different strategies related to war. Some of them are not directly or at least easily implementable into daily life but many of them are. Even if you don’t put them into use often, knowing they exist can make you aware of when they are being used against you. This entry was posted in Books and tagged Philosophy, Psychology, Robert Greene, War on November 17, 2015 by Blas. A very exciting read and at points very manipulative. It would be impossible to keep all 48 laws in mind all the time but I think you can focus on a couple every month to improve on and add to your repertoire. A lot of it is very harsh and Greene does not dispute this, he simply lays out the facts and it is up to you how to proceed. A must read even to just protect yourself from having your arm forced by others. 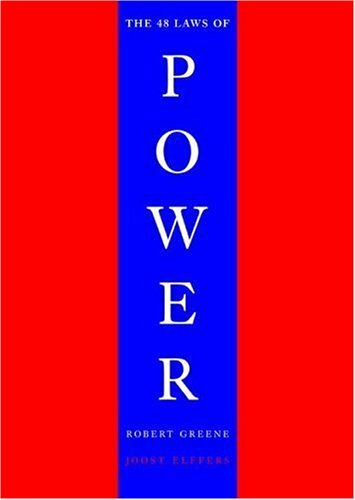 This entry was posted in Books and tagged Power, Psychology, Robert Greene, Social, Worth Re-reading on March 11, 2015 by Blas. Wolfgang Amadeus Mozart – Mozart who was forced to play certain types of music by his father because the music would sell and they could make money. Mozart was very frustrated with this and eventually split from his father. When he did this it was as if all those years of tinkering and making every song he played “his” seeped into him and within a couple years wrote some of the classical songs that are still popular today. He had an explosion of creativity. Albert Einstein – Worked at the patent office so that he could get paid a decent amount but still have sufficient time to work on his theories. He was speaking to a friend about giving up on what later became known as his Theory of Relativity and it suddenly clicked. Einstein always thought in terms of images and came up with many different thought experiments which helped him answer questions that changed the face of physics forever. Charles Darwin – Exceptional in his attention to detail and dedication. He spent 8 years studying barnacles to prove evolution. He went against what his dad wanted him to do and found his own path doing a combination of things he was very good and passionate about. Paul Graham – Founder of Y Combinator, hadn’t achieved much until his early 30’s and then created a company that he sold to Yahoo for tens of millions of dollars. He then though about a new concept to help startups acquire capital and this led to the birth of Y Combinator. Temple Grandin – Was born with autism but found a way to overcome it enough to go to school and graduate. She always felt a connection with animals and ended up designing more humane feed lots and slaughterhouses which make the cattle more comfortable and relaxed. She always enjoyed being squeezed and a she ended up designing a similar technique for cattle. She improved on this design and adjusted lighting and everything the cows saw so they would not get spooked. Her design is used in the majority of slaughterhouses today. Yoky Matsuoka – A Japanese engineer who created the industry standard for robotic hands. She trained for a while to be a professional tennis player. She specialized in creating more realistic prosthetics. VS Ramachandran – A neurobiologist who uses relatively simple experiments to measure and learn about the brain. He was able to help people with phantom limb syndrome, found mirror neurons and much else. Teresita Fernandez – A sculptor who became famous for her art made of metal (which when she started was not ever someone thought a woman could do) and now sits on the board of the Commission of Fine Arts). She worked through the night so that others would not distract her and people thought that her art just came so easily because they would show up the next day and this masterpiece would just appear. She first went with it but then thought that this carefree attitude could hurt her, especially because she is a woman. So, she took a much more intellectual and serious tone with her art and people realized how talented and dedicated she is. Cesar Rodriguez – Considered one of the best US Air Force pilots and came closer to becoming an ace than any other pilot since the Vietnam War. He was never as talented as the “Golden Boys” of the Air Force but he was so passionate and dedicated that he spent hours in the simulation machine and studying all he could that he eventually surpassed the Golden Boys. At one point he was able to watch a film of some maneuvers he had done to avoid being shot down and killed and had no idea where those thoughts came to him from. He dumped some fuel and flew high and barrel rolled and did all these thing subconsciously, but only because of the thousands of hours of training and thoughtful mastery. Daniel Everett – A missionary who went to Brazil to try to convert the Piraha people. Many others had tried but the Piraha’s language seemed incomprehensible. It did not follow typical language patterns and they thought it could not be cracked. Everett was quite close to giving up as well, feeling that they did not want him or his wife in their tribe anymore and one day the tribe actually looking for him to try to kill him. But, things turned when he actually went with the men on a hunt one day. The men communicated with each other through a series of whistles and clicks and other noises so that they could communicate seemlessly without scaring off animals or making other humans aware of their presence. Life for the Piraha was so fleeting, so dangerous, that their language did not incorporate any words for past or future events. Everything was in the now. 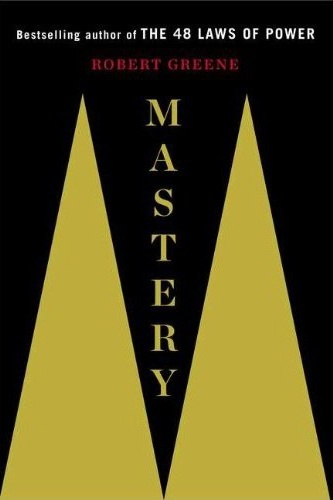 A must read for anybody who is interested in reaching mastery in any given field. Greene uses such diverse examples that there is something to be gained regardless of your talents or goals. A good takeaway is that while there are certain steps that must be taken to reach mastery, each person can mold it to fit their talents, temperament and goals. This entry was posted in Books and tagged Albert Einstein, Benjamin Franklin, Cesar Rodriguez, Charles Darwin, Daniel Everett, Freddie Roach, Mozart, Paul Graham, Robert Greene, Santiago Calatrava, Temple Grandin, Teresita Fernandez, VS Ramachandran, Worth Re-reading, Yoky Matsuoka on February 3, 2015 by Blas.